The Zenith Brass Ensemble is a group of 30 talented youth brass and percussion players. Drawing on the brass choir literature for college and professional organizations, the repertoire is fresh and exciting. The Zenith Brass Ensemble performs a wide variety of transcriptions and original music for brass and percussion. Zenith Brass rehearses in Rochester Hills on Tuesday evenings from 7 to 9 pm from September to May. We perform concerts in November, March and May each year. The concerts feature a wide variety of music designed to be educational for its members and enjoyable for the audience. Since its inception, Zenith has drawn 464 members from over 85 different school music programs over a wide area. Membership is a supplement to those school music organizations. Zenith gives first priority to its members' commitment to their school music programs. Members are regular participants in the solo and ensemble festivals and study with the best brass teachers in the area. 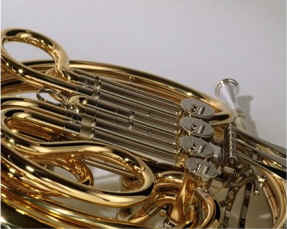 The Zenith Brass Ensemble is designed for proficient, motivated players. We perform a large amount of music with a minimum of rehearsal. Zenith director Mark Petty has had many musical interests in his life including piano, percussion, singing, marching bands and drum and bugle corps. He has had an interest in British brass bands dating back to his college days. Studying that movement through books, scores and recordings, he came to appreciate the potential of the large brass ensemble. A trip to London for the 1975 International Brass Band Championships in Royal Albert Hall provided a first hand view of the brass band movement. When Petty concluded his long career with outdoor marching groups, he wanted to dedicate his efforts to concert music in the form of a brass ensemble. He founded the Zenith Brass Ensemble in 1995 to provide an opportunity for outstanding area youth brass players to make music together and develop their skills in the homogeneous atmosphere of similar instruments. Starting in 1995 with seventeen players recruited from private teachers' studios, the organization has grown steadily since that time. The Zenith Brass Ensemble has become well known and respected among the area's band directors, private teachers and professional musicians. The Ensemble continues to attract and recruit the very best youth brass players in the area and strives to make continuous improvement in its performance levels. Although the literature for brass ensemble is small compared to orchestra and wind band, Zenith Brass has found and performed over 402 different selections for brass ensemble. What is a Brass Ensemble? A brass ensemble is a performing group of brass instruments. 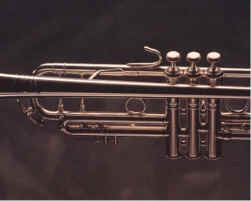 Brass instruments have existed for a long time, but the recent popularity in brass groups is due to the overwhelming popularity of the Canadian Brass. Many colleges have a brass ensemble, sometimes called a brass choir. Beyond that there are very few amateur or professional brass groups. Some notable exceptions are the Summit Brass, the Millar Brass and the Denver Brass, all excellent professional groups with many recordings to their credit. Brass ensembles and choirs often use percussion and some include percussion in their name, such as the fine Kentuckiana Brass and Percussion Ensemble. Zenith makes extensive use of percussion when appropriate. Another type of brass ensemble, the British style brass band, originated in Great Britain and now also found in many other areas, including the United States. These amateur groups exhibit a very high degree of ability and delight their audiences. 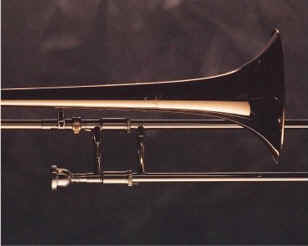 British style brass bands use conical bore instruments in a specific instrumentation. The Zenith Brass Ensemble has pioneered the concept of a large brass ensemble for youth. We like to think of our group as an American style symphonic brass band. With any organization, it is helpful to articulate a reason for existence. A shared vision is a powerful force that encourages team thinking and hard work. The purpose of the Zenith Brass Ensemble is to provide a high quality musical experience for young brass and percussion players in the Tri-county area. The ensemble will encourage the performance of and appreciation for music arranged and composed for brass and percussion instruments. The Zenith Brass Ensemble will be recognized for excellence in brass and percussion performance. Membership will be sought after by the best high school age and above brass and percussion musicians in the area. Members will promote high musical standards in all other musical organizations to which they belong.